With Thanksgiving here, thankfulness should be in the forefront of everyone’s mind, especially in the Leaping Butterfly Community. Once a year, we are reminded to live with a deeper sense of gratitude. But what does Thanksgiving really mean? 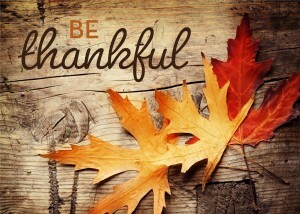 Thankfulness is an expression of gratitude. 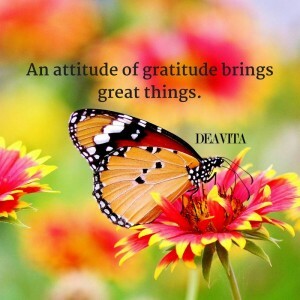 Gratitude is an appreciation for someone or something. Thankfulness is communicated through words and actions. Why should we pause to be thankful? First of all, because being the recipient of gratitude is one of the most wonderful feelings – be the one who gives this to those who desire it. positive way and that gratitude boosts our immunity and lowers our blood pressure. Being thankful offers a new perspective. It can turn the mundane into marvelous and the routine into random acts of joy. Pausing to lift up our eyes and look around at the bigger picture can change our focus from inward to outward. Lastly, thankfulness breeds compassion and understanding. There is nothing like griping and complaining to stir up contention and misunderstanding. Thankfulness is the antidote to contempt and hatred. Thankfulness brings a blanket of peace to all who will wear it. Every Friend and Loved One is a Gift from God! Take time, not just during this holiday season, but every day of the year to give thanks. No matter how bad the situation may seem, there is always something to be thankful for. Give thanks for family and friends, for shelter and sustenance. Let gratitude be the first thing you feel no matter what the situation. Remember – it could have been worse. Happy Thanksgiving, Leaping Butterfly Community, today and every day.